As much as I appreciate (and sometimes like to make) really elaborate cookies, I’ve recently found myself longing to simplify. 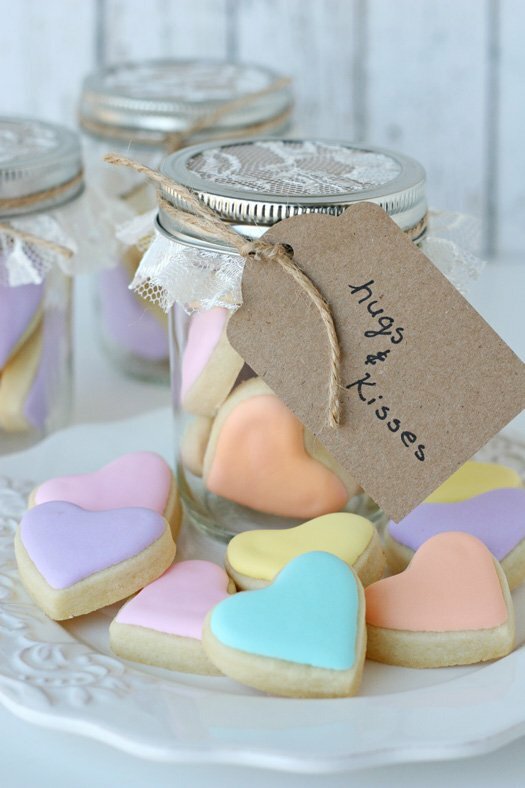 These Heart Cookies in a Jar are super simple, and yet the sweet pastel color palette and cute packaging transforms them into something very special. I know I would be overjoyed to get a sweet little jar of cookies like this! 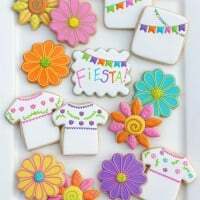 You could alter this idea in lots of ways… add some details to the mini cookies, change the color scheme, add some little candies in with the cookies, the options are endless! Aren’t they cute? I had a few left over and made a sweet little rainbow of them. I shared the idea on my Instagram account (be sure to follow me to keep up with little behind the scenes ideas). 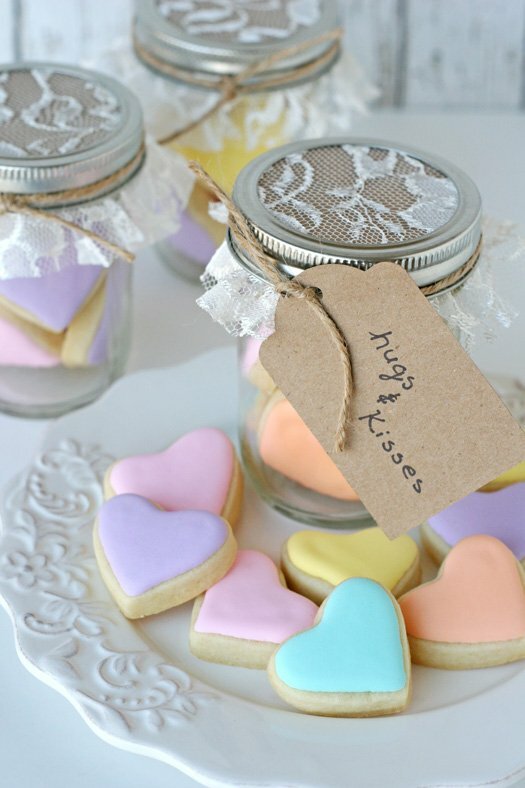 Ready to make Heart Cookies in a Jar? A batch of cookies made with my Sugar Cookie Recipe. I used a 1.5 inch heart cookie cutter for these cookies. 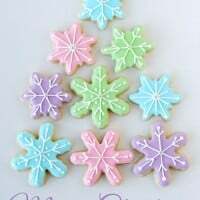 Royal Icing in your choice of colors. 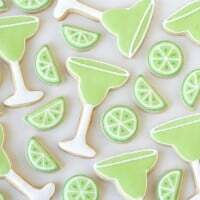 Thin the icing to a medium consistency, about the consistency of shampoo or corn syrup… it should be thick enough to not run off the edge of the cookie as you outline, but thin enough to settle into place when you fill in/flood the center of the cookie. I outlined and flooded the cookies with the same icing, using a #2 tip. Outline the cookies (one at a time), them immediately fill in, to create a seamless look (as shown). Jars (I used 8oz/half pint, standard mouth canning jars, found at Wal-Mart, Orchard Hardware Supply, or your local grocery store). 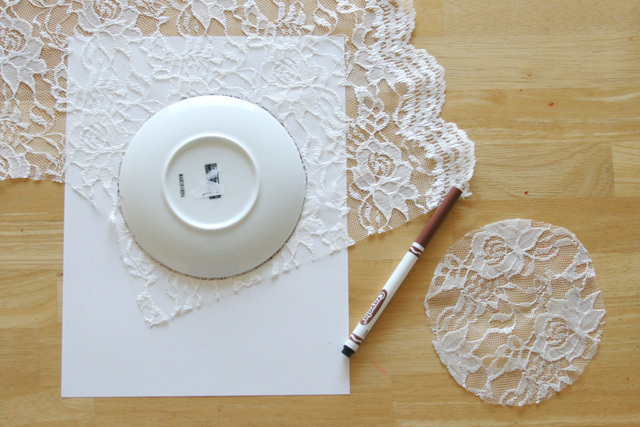 Step 1- (After baking and decorating your cookies) Cut out a circle of lace, about 5 1/2 inches diameter. I used a small plate to trace the circle (using a marker), then cut just inside the marked line. Step 2 – This is optional, but adds to the finished, shabby-chic look. 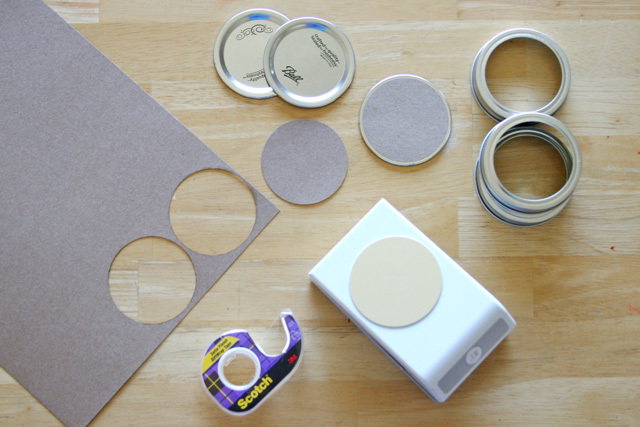 Cut out a circle of brown/kraft colored paper and attach it to the top of the jar lid. I used a 2 1/2 inch circle punch and then just used a piece of tape rolled around itself (to create a double sided tape) to attach the paper to the lid. Feel free to use a different color of paper, or skip this step altogether. 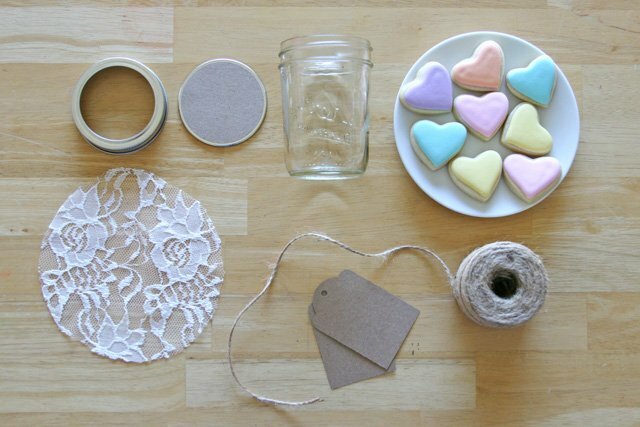 Step 3 – Gather your supplies- a circle of lace, a jar with lid (topped with paper), jar ring, cookies, jute/twine and tags (if desired). Fill the jar with the mini cookies (the icing should be allowed to dry overnight before adding the cookies to the jars). I used 1.5 inch cookies and was able to fit 8-9 cookies in each jar. Once the jar is filled with cookies, place the flat lid, then hold the lace over the lid and add the jar ring. Embellish with jute or ribbon of your choice and add a tag (if desired). 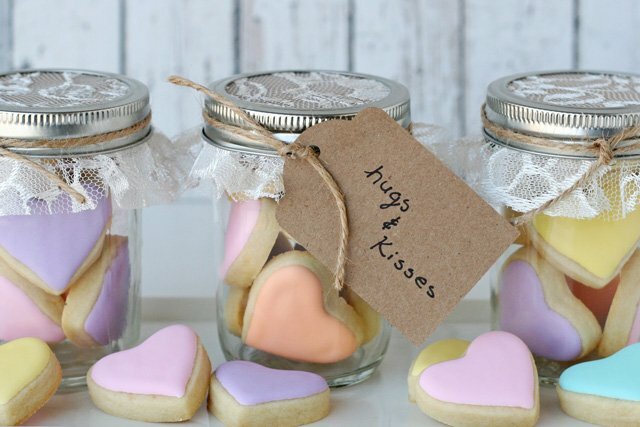 These sweet little jars of cookies make perfect little gifts! Although I made these with Valentine’s Day in mind, I think they would be perfectly cute for most any occasion! Looking for more sweet and crafty Valentine’s Day ideas? You can check out all of my Valentine’s Ideas (here). So sweet! I think everyone would love to receive one of those jars of pretty treats! I like your choice of pastel colours and they look so pretty in the jar. The lace makes such a difference. You are certainly not alone in wanting to simply sometimes. 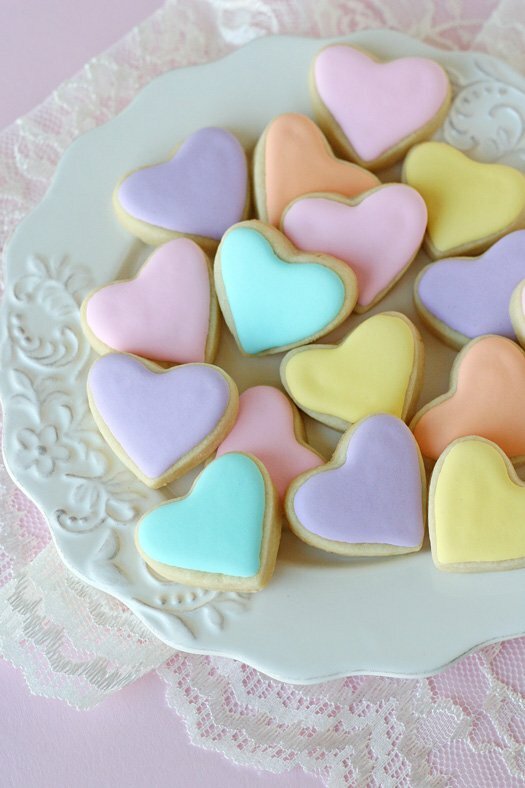 These little heart cookies are so cute but made even more adorable by your wonderful packaging. I love how you did the jar lids and the simple brown label with the jute is perfect for these gifts. OOh, with that idea you could actually do plain/undecorated little cookies and mention to spread a little jam on the cookies! Hmm, now I’d like that combo with some tea! Love these. so cute. Thinking of doing this also in little bags! Thanks for posting. Have a wonderful Valentines Day! Thank you! Some of the other blogs I subscribe to are just getting so intricate and complicated. I so appreciate something simple and beautiful. I love the lace idea. I don’t know, but it’s so madonna-esque! Glory, I’m thinking of making this for as wedding favors…how far in advance can I make them without them being horrible for my wedding? I just don’t think I’m going to be sane enough a few days before the wedding to make them, so any advice would be greatly appreciated! The cookies can be made up to a week in advance and kept in an airtight container (such as the jars) and will taste great! This is a very cute idea! Simple, but very well done. These are SO adorable!!! And I totally want to make them for my nieces. 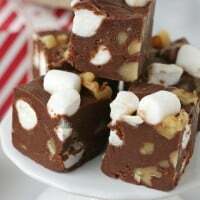 I am not much of a baker … but i really want to try these out !! Could you please tell me what food color brand you used? and what color number or name you used ….cuz these are the prettiest I have ever seen !! thank you again…really hope you can help me out.